VIZIO just revealed its expanded 2013 HDTV collection, highlighted by an all-new line of M-Series Razor LED Smart TVs. 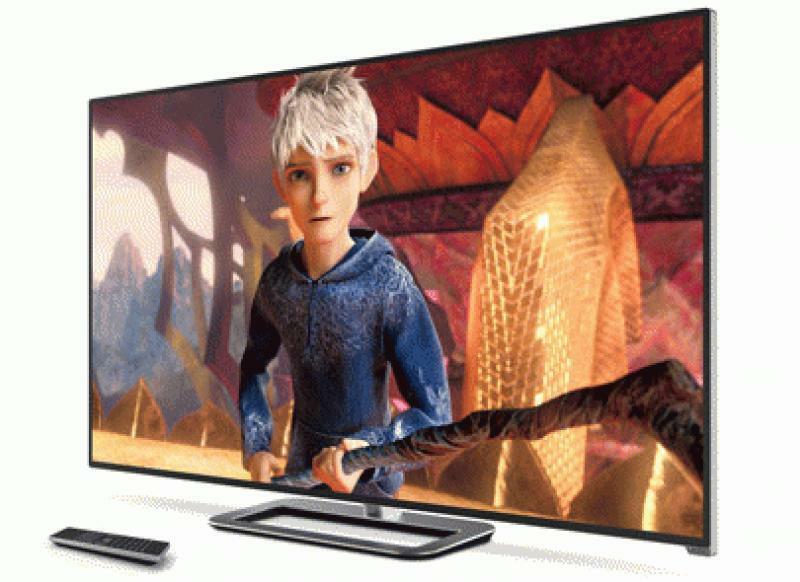 VIZIO's new HDTV line-up also contains the company's first Ultra High Definition TVs, part of the brand's flagship XVT-Series, as well as the all-new, all-LED E-Series line which features a slim-frame design and advanced Smart TV features and Theater 3D available on select models. • Read more LED HDTV news from Home Theater Review. The all-new M-Series signature design in screen sizes of 32" (M321i), 40" (M401i), 47" (M471i), 50" (M501d), 55" (M551d), 60" (M601d), 65" (M651d), 70" (M701d) and 80" (M801d), pair picture quality with an ultra-slim frame. Unique interior metal construction in the base and neck adds stability while a finished exterior complements the design. VIZIO's new M-Series Razor LED Smart TVs feature a connected TV experience with the latest picture quality technologies. Features like advanced local dimming, 240Hz refresh rate with Smooth Motion for the 50" and larger models and a brighter, flicker-free Theater 3D experience with lightweight, battery-free glasses, build on the M-Series franchise. All of the new M-Series units offer VIZIO Internet Apps allowing consumers to enjoy their favorite apps like Amazon Instant Video, Crackle, Facebook, HuluPlus, M-Go, Netflix, Pandora, VUDU, YouTube and more. A new convenience feature for 2013, VIZIO's M-Series models will include Wi-Fi Direct universal remote controls with backlit keys, providing an intuitive way to control the entire home theater without codes and programming. In addition to an enhanced line of M-Series Razor LED Smart HDTVs, VIZIO will also be unveiling its first Ultra HDTV offerings this year at CES. With four-times the resolution of Full HD 1080p, the premium XVT-Series Ultra HD Razor LED Smart TVs with Theater 3D embrace the new wave of home theater technology. VIZIO will launch the 55" (XVT551d), 65" (XVT651d) and 70" (XVT701d) Ultra HD units later this year. While the M- and XVT-Series will be unveiled at CES and available later in the year, VIZIO's popular entry-level E-Series line-up is available now and offers consumers an all-LED collection made affordable for every household. Bringing superb picture quality to consumers at a great value, the E-Series HDTVs have already seen great success at retail with large screen sizes of 70" (E701i), 65" (E650i), 60" (E601i) and 55" (E551i), as well as smaller units in 50" (E500i and E500d), 42" (E420d), 39" (E390i), 29" (E291i), 24" (E241i) and 22" (E221) available to consumers. The sleek, slim-frame LED product line offers advanced local dimming technology on 42" screens and above, SRS StudioSound HD, a DTS technology, for clear audio and more HDMI inputs when compared to competitive brands, allowing for expanded entertainment options. VIZIO's new 2013 HDTV collection will be on display at 2013 CES at the Wynn Hotel's Mouton Ballroom by appointment only. The M-Series units will be available later this year and additional details on the XVT-Series Ultra HD Razor LED Smart TVs with Theater 3D to be announced closer to commercial availability. Consumers can find the new all-LED E-Series line both in-store and online through key retailers such as Amazon, Best Buy, Costco, Sam's Club, Target, VIZIO.com and Walmart. More information on VIZIO's CES announcements can be found at VIZIO.com/CES.